numbers in the left and upper sides. Each number means the number of cells connected. Order of filling the blanks is to first fill the numbers which surely has to be colored. Order of filling the blanks is to ﬁrst ﬁll the numbers which surely has to be colored. 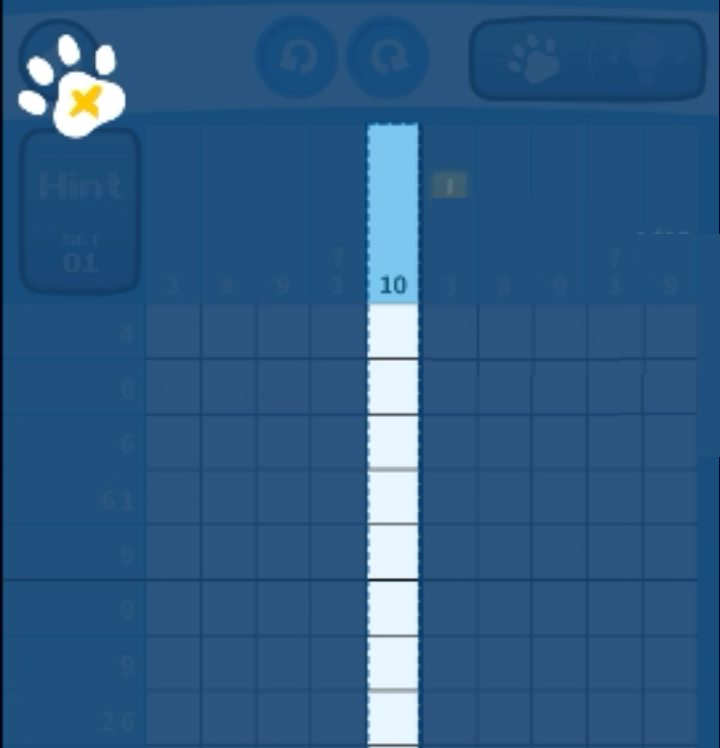 Number 10 at the top means that you have to fill 10 cells consecutively. A5 the total number of vertical cells is 10, you have to ﬁll 10 cells. When you ﬁll the blanks, button should be chosen. As it is already chosen, please go ahead and fill it.